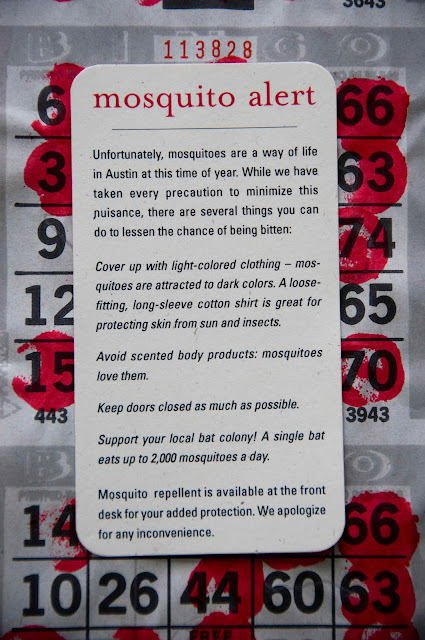 So sick of dealing cohabiting with summer insects; ants, mosquitos, and flies your days are numbered! I love this little card that was in our room a few months ago at the San Jose in Austin, so I decided to make it a memento in our guest bedroom. 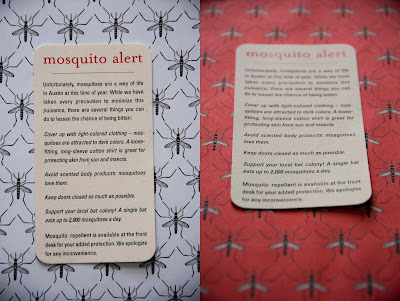 I have been toying around in Photoshop with clip art of mosquitos creating patterns. I went through several variations (white then red as you can see) before I ultimately scrapped the whole thing and decided on my bingo paper as the backdrop. I know it doesn't make as much sense, I just like the way it looks. Since it is not framed yet, what's your opinion? I can always be swayed. Are you taking Liz Lambert's advice and wearing light colored clothing? Will you be donning white linen on Saturday night in the Heights? If so drop me a line an maybe we can bump into each other on the street. Have a great weekend! 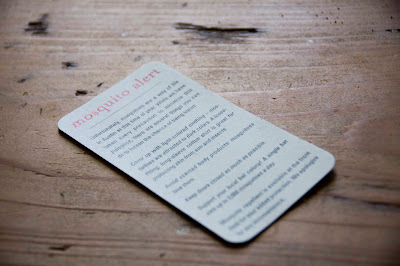 Kelly is correct - the white mosquitos! Thanks yall! I will frame the white mosquitos first. Does the crisp whiteness of the background vs. the creaminess of the card bother you or am I being picky? So I popped over here earlier today, but amongst all the other windows I've had open, I hadn't yet commented. And in the course of the day, a funny thing happened... 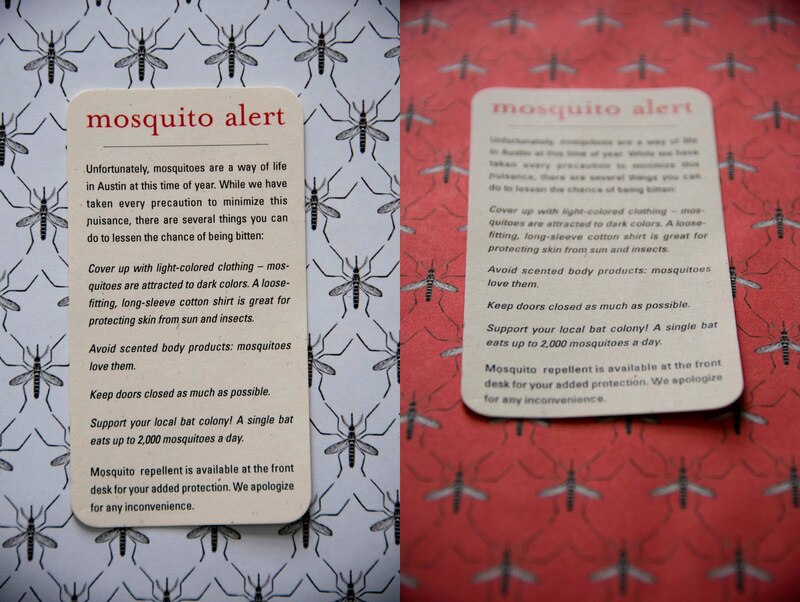 I've become absolutely obsessed with your mosquito patterns!! I hate mosquitos, but now all I can think about is having your mosquito pattern up as wallpaper. Love. Seriously, you are one talented lady.